Sweta is a ten year old girl. Sweta is one of two children at school. Their father is struggling to keep them both in school especially as he is unable to work full-time due to poor health. Our aim is to avoid the children being taken out of school to work on the farm. By taking away some of the financial pressure, we can make it possible for the children to complete their education, and significantly improve their prospects. 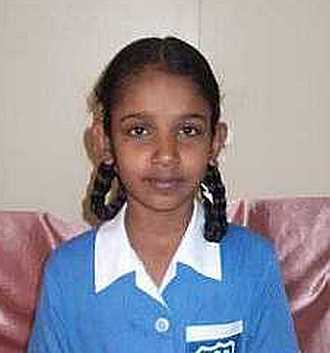 Sweta enjoys attending school and her favourite subject is hindi. Sweta travels to school each day on foot walking around 3km each way. When she grows up, Sweta wants to be a school teacher. Sweta's father is a casual labourer and is not able to earn enough to support his children at school. He is also sickly whereby he is not able to work full-time.